You are here: Home » SaaS » Be a Sales RockStar! Updated on September 18, 2015 By salezshark Comments Off on Be a Sales RockStar! 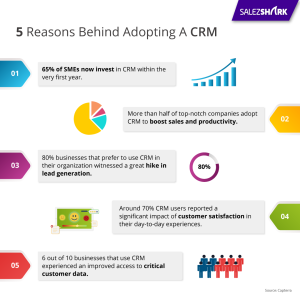 Sales is imperative for driving business growth. This profession’s significance has intensified in today’ centennial age where ‘buyers 2.0’ have become more aware and intuitive of their role in the sales conversation. Sales is no more transactional; it is about striking meaningful conversations that is valuable and impactful. The new buyer is agile – someone who is constantly updated about the industry and knows what solutions can solve their pain points or what trigger points can accelerate their business in today’s cut-throat competition. So let’s dive into the chief skills and attributes that make a successful sales professional. Understanding buyer’s psychology also helps to know how to behave, talk, and ultimately, to convince. Studies have proven that walking an extra mile helps a lot in winning a deal. A study conducted by UK Behavioral Insights Team found that 11% of people were willing to donate an amount worth one day’s salary when they were given a small gift of candy while being asked for a donation, compared to 5% of those that were just asked for the donation. The lesson here for a marketer is, offering a small perk or a free service could help a lot. Sales professionals must be active listeners to understand what actually the concern of the customer is. For this, patience and off course, maintaining peace of mind are prerequisites. Active listening is a key to success in sales. Only being an active listener and capability to understand the customer enables a sales professional to speak what the customer wants to hear. Every response of the sales person should be driven by or related to the previous response of the customer. Sales personals should form an attitude of help customers. The way they approach should make a customer understand that the salesperson is there to help him out of the problem. Sales professional should realize the idea that only the product, which they are selling is same; not the buyers. Therefore, instead of following a preprogrammed set of scripts or methodology, they must know to personalize their approach of selling according to customers. The first step to do this is to realize that customers are not dummies. Most of them have better IQ than sellers and they know exactly how to avoid a sale. To tackle avoidance, sales representatives must make customers belief that they are trustworthy. Good salespersons never used advertising words and flowery language. Being over confident talking to customers backfires most of the times. Efficient sales professionals never assume anything about customers. They rather cross check through questions and tricky interactions. The art to ask as many questions as possible to customers without making them realize it is an ingrained skill of good sales professionals. A survey by research firm TARP found that for every person who complains, there are 26 who do not. This means 26 people have quietly dumped the service and resolved not to make any contact again. Therefore, breaking the ice by questions is the best possible solution to tackle this issue. Even though having comprehensive knowledge of the product and the industry is fundamental, to be a better salesman, one needs to have better knowledge about both. Good sales personals know how to relate the product with another industry as well as with a latest “Hot” news in the daily newspaper. Being disciplined is a key to be successful. To be successful in sales, one will need to be well planned and well organized. He or she must be able to cope with the complicacies of schedules and formulate efficient strategy to avoid hassle in any case. Excellent sales professionals have a strong trust in the product and in the brand or organization. It is one of the crucial traits to be a successful salesman. It is the core of motivation to sale, which in return reinforce all skills mentioned above. Sales Professionals are increasing, as enterprises are expanding and more business entities are flocking into the market. This has induced a competitive edge in sales domain as number of similar products and services are rolling out rapidly. Customers now are not bound to hold on to a particular brand. On the other hand, other brands constantly pitch their products to customers. In this scenario, the concept of success in sales is transformed from being product-orientated to customer-oriented. This puts an impetus on Sales Professionals to emphasis on new tactics for professional engagement with customers, apart from conventional promotion of products.